I wanted to address this question because I’ve had several readers ask me about how to get into real estate without the commitment of buying an entire property and having to put up a large down payment. As I’ve said before, now is a great time to buy property. Here in San Diego, it’s a seller’s market but the prices have still remained low compared to just a few years ago. Most realtors I’ve talked to tend to believe that the banks are holding on to a lot of inventory(foreclosures and short sales) so they don’t flood the market with new listings and drive prices back down. If you rent you know the cost of renting vs paying mortgage has gone up. What that means is that it’s a lot cheaper to pay a mortgage than it is to pay rent. Just as an example, my total monthly costs including mortgage, property tax, insurance and HOA are $1,700. Similar condos in my area are renting for $1,600-$1,800 but you have to remember that I’m getting back almost $350 in principal addition and $150 in taxes back(from the mortgage interest and property tax deductions) each month. But if you don’t have the money for a down payment, you won’t be able to enjoy this spread. REIT’s enable small investors to enter the real estate market at a fraction of the cost, but are they right for you? I know there are a lot of people itching to buy real estate but their main hurdle is the large 20% down payment required. 20% of any property is a lot of money, so one option for the casual investor is to turn to REIT’s. REIT stands for Real Estate Investment Trust and they behave similarly to regular stocks. A REIT offers common shares to the public and in exchange, you become an actual owner of real estate. REIT’s receive special tax treatment from the government but in exchange they must pay out 90% of their dividend income to shareholders each year. Most people generally look straight at the yield of an REIT and when they see that it’s paying out dividends at over 5%, they think it’s a great investment. But remember that with this higher returns, comes higher risk. When you purchase a large cap index fund you invest in many different large companies across different sectors, like automotive, technology, web, social media, etc. But since real estate investments are all part of the same sector, volatility within this area would affect your investments much more than normal. Most REIT’s are equity REIT’s meaning they can be traded publicly like stocks and they invest in actual commercial real estate. But about 10% of all REIT’s invest in mortgages backed by commercial real estate, and the earnings on interest from these loans. A hybrid REIT invests in, you guessed it, both of these classes. When you read about REIT’s, most people are usually referring to equity REIT’s which tend to specialize in owning certain types of buildings like golf courses or malls. 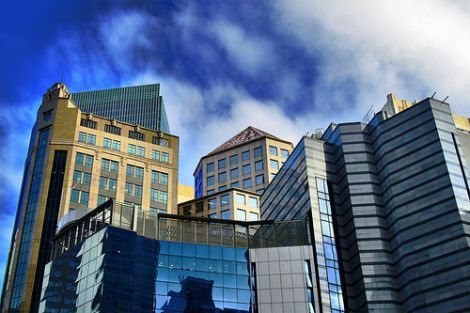 REIT’s tend to pay out dividends regardless of how their stock price is doing due to the fact that 90% of their dividend income must be returned to shareholders. Unfortunately, these dividends are taxed at the non-qualified dividend rate. Because of this, REIT’s are generally thought of as very tax-inefficient. I am not currently invested in any REIT’s but if I were to consider them as part of my retirement portfolio I would definitely put them in a tax advantaged account like a 401(k). In the search for a diversified portfolio, real estate investments provide for a nice hedge against inflation. Historically, they’ve shown little correlation to stocks and bonds which means that generally when stocks or bonds take a dip, you won’t see the same thing with your real estate investments. REIT’s can help to reduce the overall volatility of your portfolio in this manner. For now, I don’t think REIT’s make much sense for our reader BB. It sounds like he would be investing in an after-tax account and I would treat REIT’s just like any other equity investment. If you plan on needing this money in 10-20 years, don’t put it in stocks, the market is too volatile in that short of a time frame. You’re also taking on additional risk because your entire investment is in one sector: real estate. But if BB is set on investing in a REIT, he could allocate up to 10% of his retirement portfolio towards real estate as long as he does it in a tax-advantaged account. I don’t want him to pay up to 35% on a non-qualified dividend, yikes! This would provide him some hedge against inflation and reduce the overall volatility of his portfolio. Even though there is some upside to holding REIT’s, they remind me of a riskier dividend investing strategy. I don’t think dividend stocks make much sense for young professionals so I feel the same way about REIT’s. Real estate investing is tricky, but the key is to be patient. Save up 20% so you can withstand the ups and downs of the housing market and make a smart purchase. Readers, have you thought about investing in REIT’s or do you currently own them in your portfolio? Do you think they are a risky asset class with similar risk to equity or bonds? Good post. REIT’s can be a great way to invest in real estate, if it fits in with your specific strategy. I’ve held them in the past, but not currently as I have moved away from a huge play on dividends. Just too many people are doing it, which makes me want to do the opposite. On a side note, reading the rates for San Diego is one of the main reasons we left…just too expensive for our us. Thanks John, I’m still learning about them so maybe I’ll see something that changes my mind. But as of now, I don’t see a need to invest in them. And yes, San Diego is ridiculously expensive, it’s silly how much more you can get in other states, but today is literally the first day I’ve worn a sweater in 6 months, haha. We invest in these. They are a great compliment to our index funds and they help add to our portfolio. It definitely seems to be easier to manage than buying actual real estate that you have to look after. Yea they definitely make sense to fill that gap if you don’t want to manage actual real estate, which can be a pain. Do you hold them in your tax advantaged accounts? I recently purchased a couple REITs, and I put them in my Roth IRA to get the tax benefits. Nice I’ve been thinking about doing that too. Roth seems like the only responsible place to hold them due to the taxes.